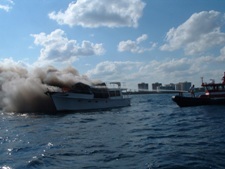 The 45' Symbol was on fire off Boca Inlet. 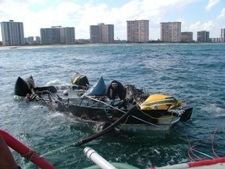 Two TowBoatU.S. 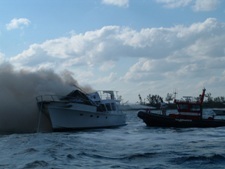 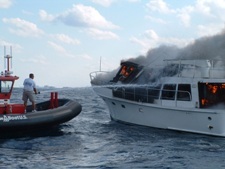 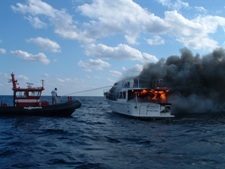 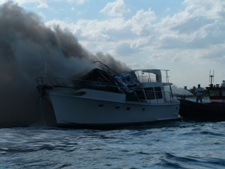 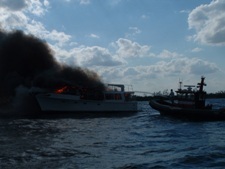 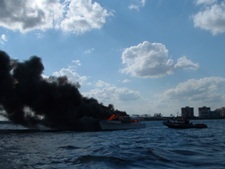 boats responded using foam and water to extinguish the flames. 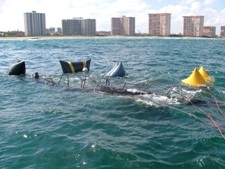 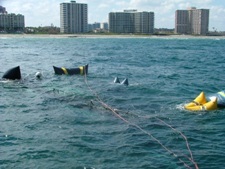 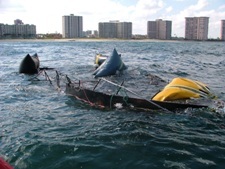 The casualty sunk offshore Boca Raton, FL in approximately 30' of water. 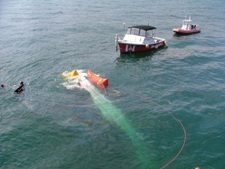 The Richard L. Becker, 96' Salvage Tug, mobilized the following day and anchored in close proximity of the site of the submerged vessel. 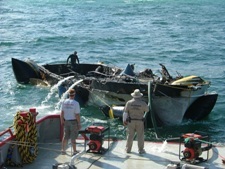 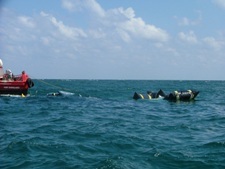 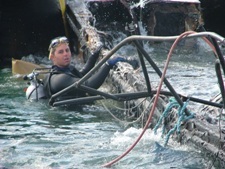 Salvage Divers were deployed to inspect the vessel and rig lift bags. 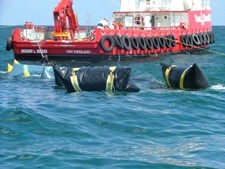 The vessel was successfully raised and partially dewatered and towed into the Inlet to continuing dewatering. 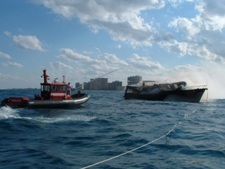 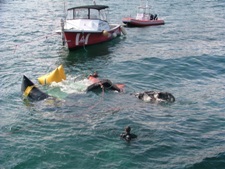 The casualty was completely dewatered and towed to a marine facility for haul out.